Need some advice. Please help. Points: 1310 Topic: Need some advice. Please help. I have a fade again since I couldn't put the clippers down. Now, I'm using Green Magic Cream from Liquid Gold. I can't part my hair since it's a fade, so I just put a dime-sized amount in my hair and rub it all over. I co-wash first before doing this. I do this every other day. Should I use a moisturizer on days that I don't use the sulfur like s-curl or Taliah Waajid Medicated Mist? Also, should I even use the sulfur right now? Am I ruining the new growth? Yes, you can use a moisturizer on your off days. You probably should since the sulfur can be drying. I would suggest a spray mix that is mostly water-based. And you can still seal. I found that by establishing the good habits while my hair was short, it was easier to continue them as my hair grew. Thanks, Swift. I'm glad you told me before I did something drastic with the clippers. Just kidding. I plan is to use the sulfur until I get at least 6 inches of hair or I'm able to make a ponytail. I had the liquid gold oil, but it was too messy. The cream is just right. @wanderlust87 I think I'm over it now. It takes too long. Well, my shaved hair cuts do. ^^Do you mean shaving or growing takes too long?? Do you have a length goal or just want to have more styling options? I foresee cutting or shaving the end of 2013 or during 2014. My preference is 2014 but I'm growing more impatient. It's both. When I shave my head, I have to make sure it looks right, then wait for it to grow out. I'm officially growing it out. 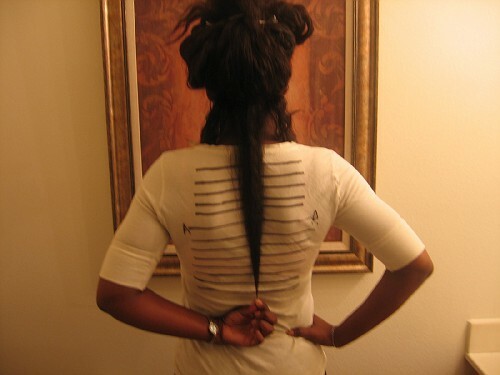 My goal for 2013 is shoulder length, but it would be nice to make it to APL or get close to it. My plan for the summer is just to do wash and go's. Long term goal is between BSL to WL. I know when my hair was WL relaxed, I cut it back to APL just because it was too much for me to handle. I missed it though b/c long hair looks better on me, but it's just a lot of work. That's why the beautician was my best friend. I just didn't have the patience at that length. I think if you're ready to shave, do it. I can't wait a day. I'll just go in the bathroom and get the clippers. I do understand you not wanting to do it now since it's cold. Good luck!